Lachlan Wakeling (Principle Physiotherapist) from Beleura Health Solutions is ready and waiting to answer any burning questions you may have in the lead up to SBR2018. Lachlan has been a Physiotherapist for 15yrs, and has a wealth of knowledge and experience with Musculoskeletal Physiotherapy, running mechanics, and running related injuries. Head over to the Facebook page and post your questions, then stay tuned for answers. 12 Days of Xmas, DAY 12. WE MADE IT! THE LAST DAY!!! Don’t worry, we won’t be spamming your feed with INCREDIBLE deals tomorrow! VFuel have sealed the deal with an HUGE 22% off their Endurance Drink Variety Packs. You’ve only got a few days to sign up for the inaugural Gold Rush Run, so why not save 15%? 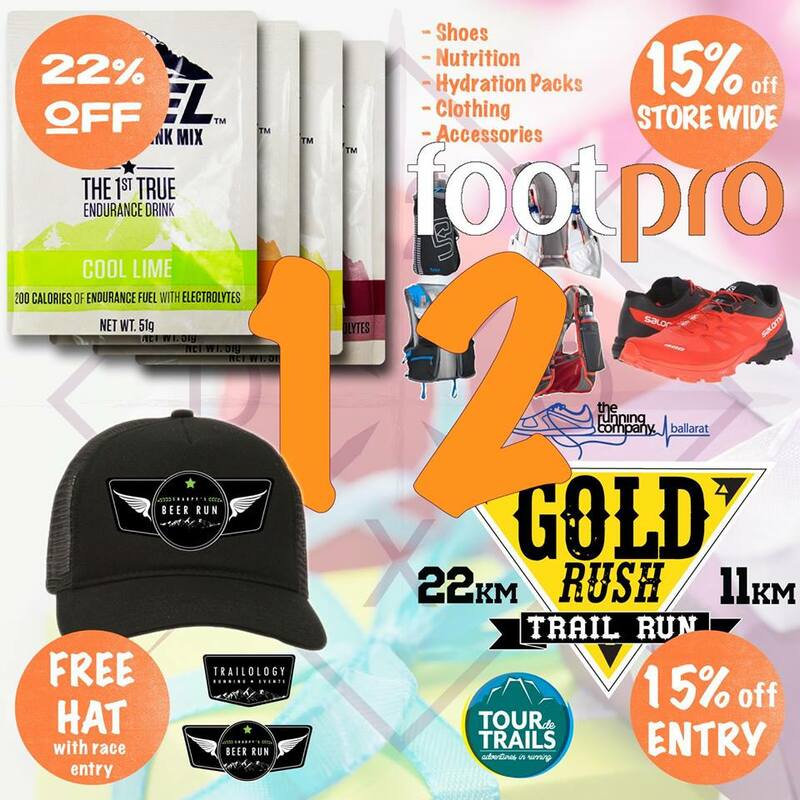 Sharpy’s Beer Run are throwing in a Black Trucker with every rego and Footpro have carried the day a massive 15% off EVERYTHING, storewide. Share this daily #12DoXSale sale along with this Hashtag, and go in the draw for a massive end-of-sale prize pool. Every share counts, so don’t be shy! ///1. 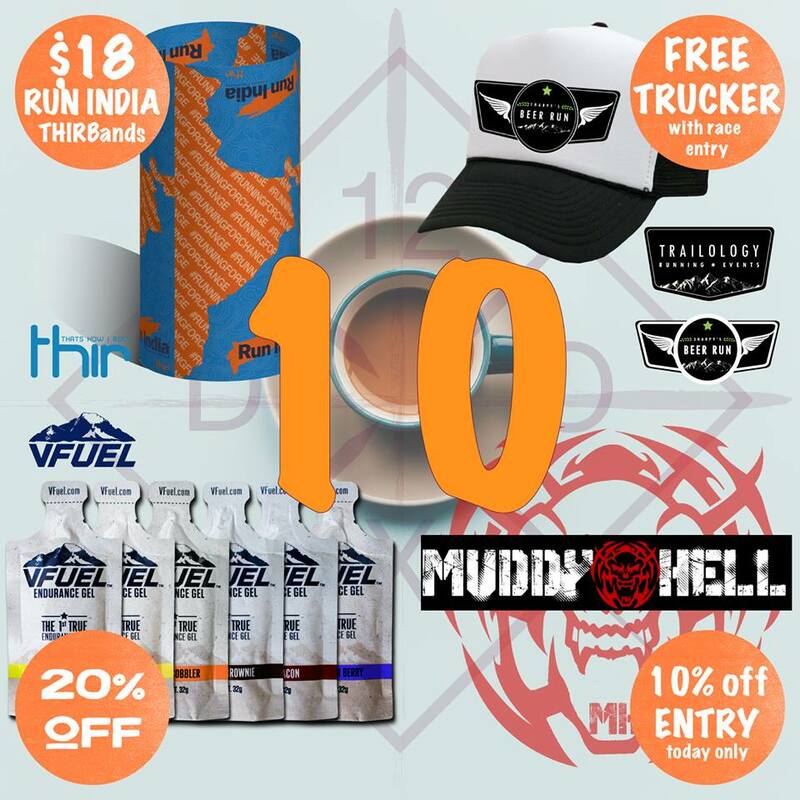 VFuel Australia are offering a HUGE 22% off their Endurance Drink Mix for one day only. No Coupon needed, just head over to vfuelaustralia.com and discount is already applied. ///4. 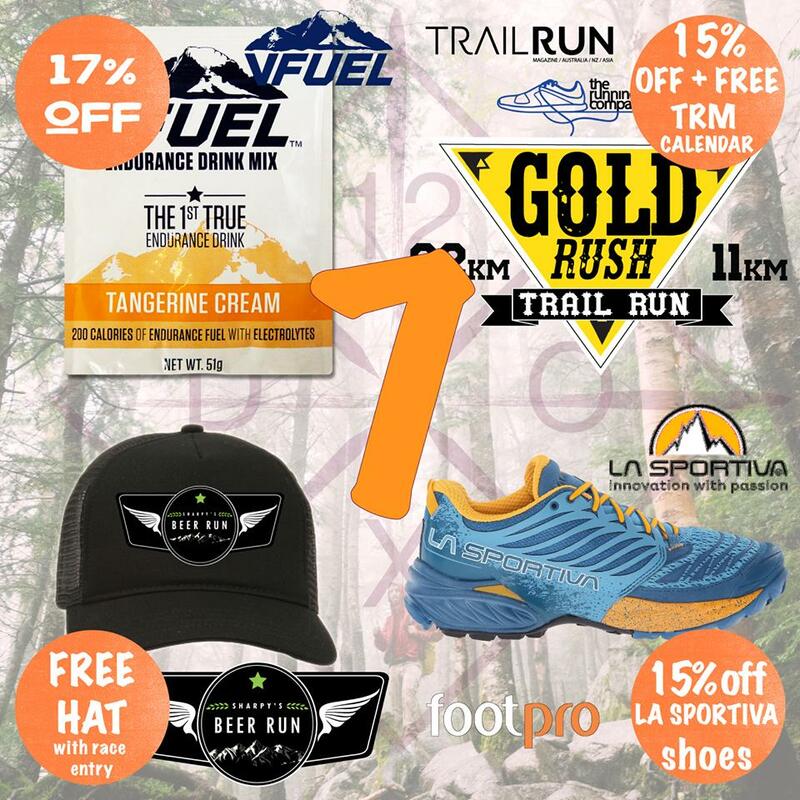 Sharpy’s Beer Run are offering a free Black Trucker Hat with every registration. Head to trailology.com.au and register. No code required. 12 Days of Xmas, DAY 11. One more sleep! Happy Sunday Footpro have stepped things up to a whole new level, offering a massive 15% off EVERYTHING, storewide. 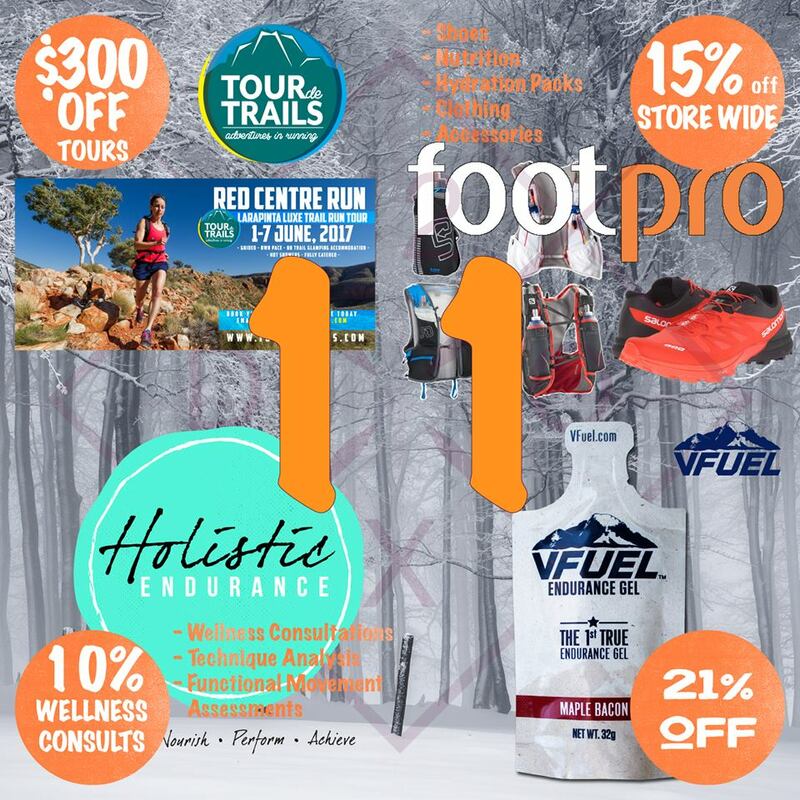 Tour de Trails is offering $300 off their luxe trail tours, our coaching partner Holistic Endurance has knocked 10% off their consults and VFuel have taken a massive 21% off Maple Bacon. Better be quick, we’re discontinuing this flavour and these are the last cartons EVER! ///4. VFuel Australia have slashed 21% off Maple Bacon Gels. This flavour has been discontinued so these are the last cartons left on earth! No Coupon needed, just head over to vfuelaustralia.com and discount is already applied. 12 Days of Xmas, DAY 9. Are we there yet?! YES! IT’S FRIDAY Today we welcome another new player onto the field, VFuel coaching partner Holistic Endurance. HE are offering 10% off their 4, 8 and 12 week wellness programs. 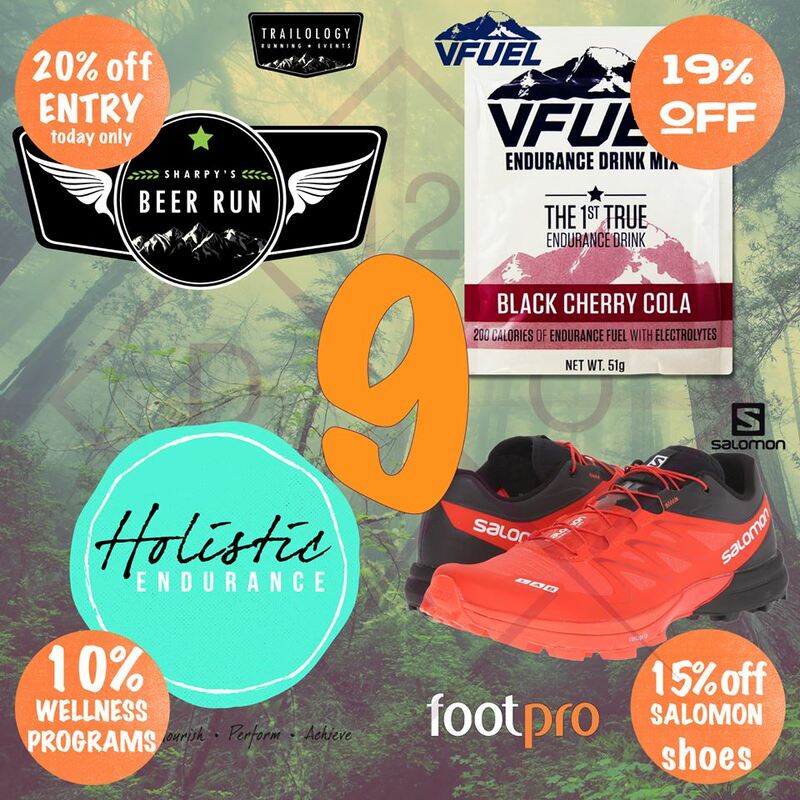 Footpro are back with 15% off Salomon Trailrunning shoes and Sharpy’s Beer Run are once offering a massive 20% off registrations. VFuels are offering 19% off the Black Cherry Cola, the fourth flavour in their Endurance Drink range. Happy Friday people, check these Deals! /// 4. VFuel Australia are offering 19% off the 4th and final flavour in their Endurance Drink range: Black Cherry Cola. Fructose free, balanced energy and full of electrolytes. VFuel US director Alan Smith recently used this flavour almost exclusively in his DOUBLE HARDROCK 100 attempt. Woah! No Coupon needed, just head over to vfuelaustralia.com and discount is already applied. 12 Days of Xmas, DAY 8. Woah, this is like an Ultramarathon of Sales! Today we welcome a new partner, FeetAlive running technique workshops, presented by Caleb McInnes of Freedom Sports Medicine. 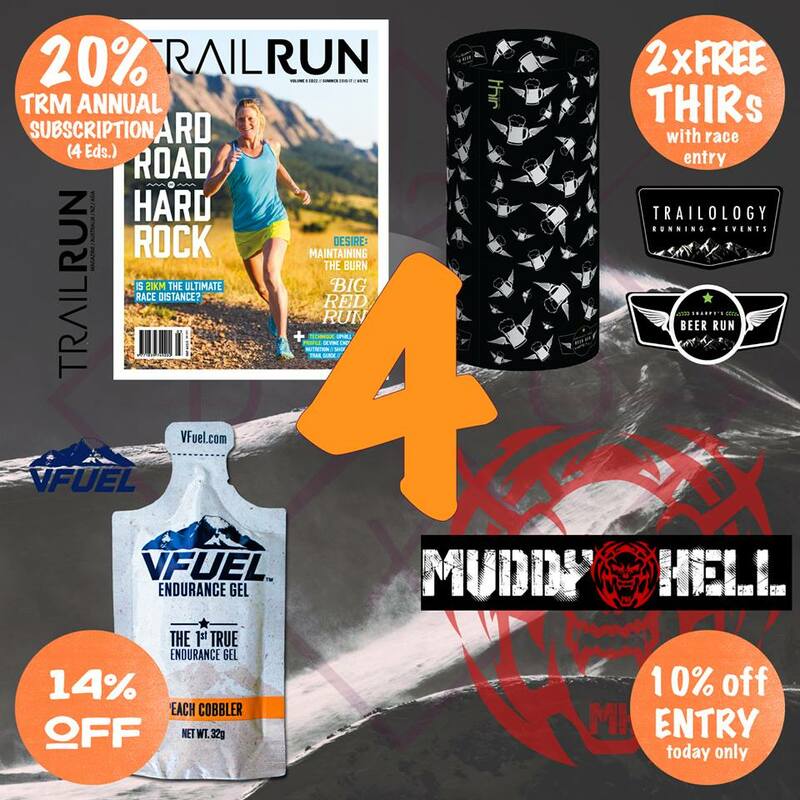 Trail Run Mag have caved to public pressure and are offering 20% off subscriptions for one more day and Sharpy’s Beer Run are throwing in a few Bumper Stickers with every rego. VFuel are offering 18% off the BRAND NEW, Uber-awesome Salted Caramel Apple. /// 1. VFuel Australia are offering 17% off another their newest Gel Flavour, Salted Caramel Apple. Like all our gels, this is FRUCTOSE FREE and will likely become the MOST POPULAR flavour in our range. No Coupon needed, just head over to vfuelaustralia.com and discount is already applied. /// 2. 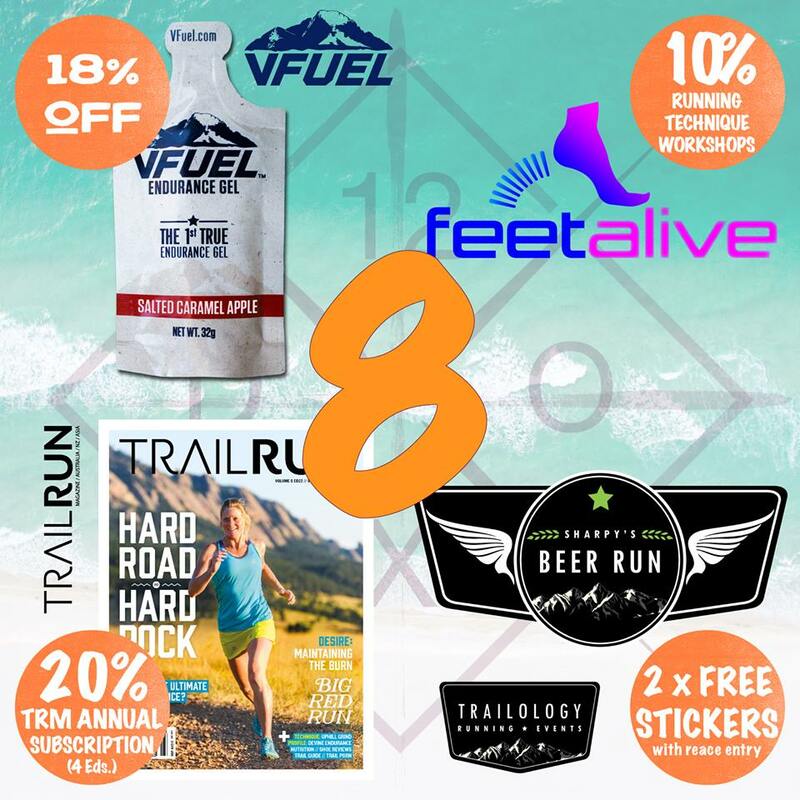 Caleb McInnes, VFuel Athlete and Head Podiatrist at Freedom Sports Medicine, is offering 10% off his FeetAlive Program. This 3 hour Practical Workshop, teaches you drills and strategies to manage load through good technique to PREVENT INJURY, MANAGE current Injury and ENHANCE performance. Head to http://freedomsm.com.au/services/coaching/ , select the FeetAlive option from the dropdown and mention this promo. /// 4. Sharpy’s Beer Run are offering a 2x Free SBR Bumper Stickers with every registration. Head to trailology.com.au and register. No code required. 12 Days of Xmas, DAY 6. Today we welcome THIR Australia back into the fold with a super good deal on Trail Group THIRbands. 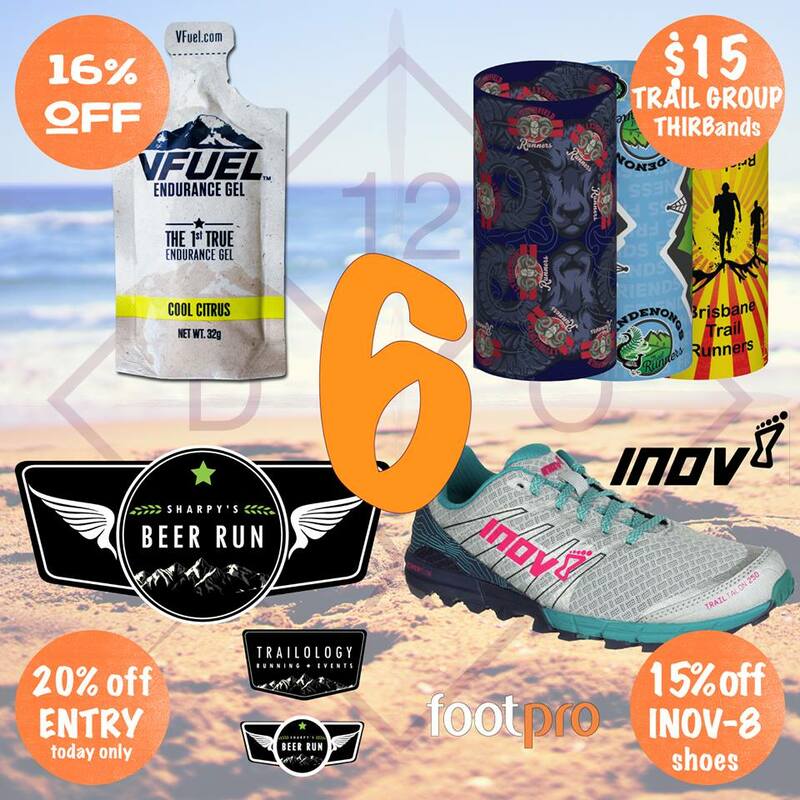 FootPro are offering 15% off Inov-8 Trailrunning Shoes and Sharpy’s Beer Run are offering a massive 20% off entries. VFuel bring yet another perennial favourite to the table with 16% off Cool Citrus Endurance Energy Gels. Happy Monday people, check these Deals. /// 4. VFuel Australia are offering 16% off another classic gel flavour – COOL CITRUS. Refreshing on the long run, the blend of lemon and lime oils won’t stick your mouth up like a Super Glue Smoothie on race day. No Coupon needed, just head over to vfuelaustralia.com and discount is already applied. 12 Days of Xmas, DAY 5. /// 4. VFuel Australia are offering 15% off their personal favourite drink flavour; Cool Ginger Twist. No Coupon needed, just head over to vfuelaustralia.com and discount is already applied. 12 Days of Xmas, DAY 4. Today we welcome to the table ANOTHER two new partners: Trail Run Mag AU/NZ (@trailrunmag) and Muddy Hell (@muddy_hell). Sharpy’s Beer Run is offering TWO FREE SBR THIRs with every entry and VFuel’s discount continues to climb, with 14% off #PEACHCOBBLERFORPRIMEMINISTER. /// 2. trailology.com.au // Sharpy’s Beer Run continue their #CampaignOfAwesome, offering TWO FREE SBR THIRs with every entry. What’s Sharpy’s Beer Run, you may ask? 5 words: Beer AT THE AID STATION! Head to trailology.com.au to register, no code needed. 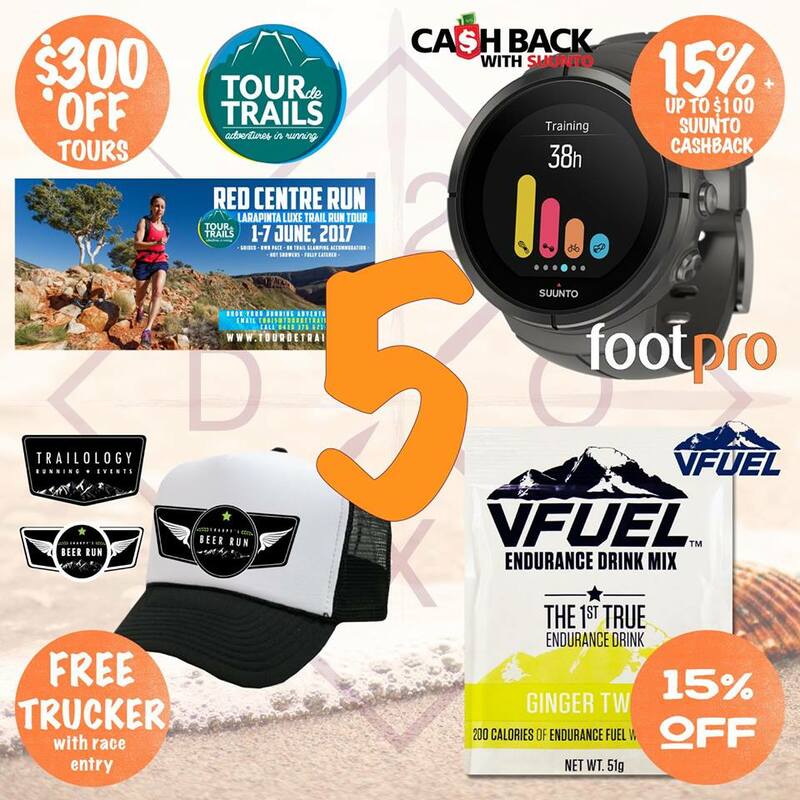 /// 3. vfuelaustralia.com // @VFuelAustralia are offering 14% off the incredible Peach Cobbler, a personal favourite of VFuel Director, @wildplans. No code needed, discounts already applied.